A rule can be made into a REST web service that supports either HTTP GET or POST methods. 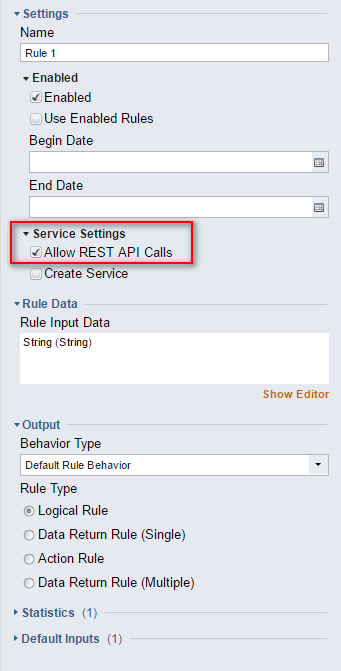 REST calls to a rule require either (1) valid user session ID, or (2) valid user authentication ID. The REST Service API shows instructions for calling the flow, as well as the output. The Actions menu for the flow provides REST service call URLs that are already populated with the necessary parameters. Enable the rule to be called using REST from the Rule Designer. 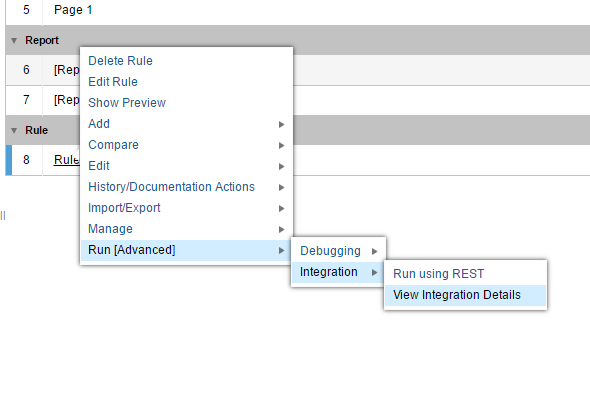 In the flow Properties panel, select the Allow REST API Calls checkbox. If retrieving a URL, paste the URL into a browser. NOTE: Be aware that credentials will be unencrypted unless HTTPS is used, or unless the Get REST URL With Encrypted Credentials option is used to call the service. 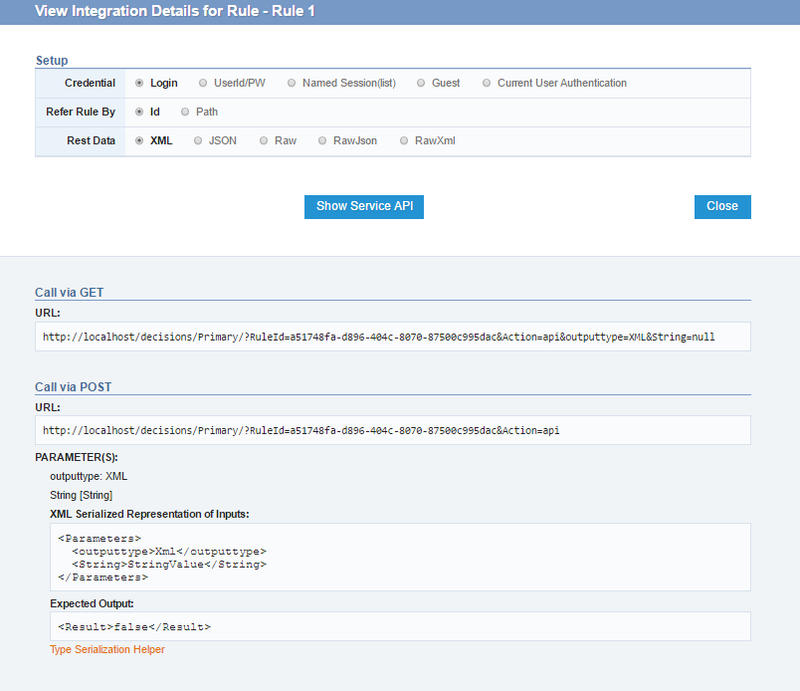 To view the Service Call API for the flow, from the Rule Designer , click the View Integration Details	link. The Service Call API opens, displaying instructions for getting the session ID, how to call the service using Get and Post methods, and the results of the service call.